a more natural looking and aesthetically pleasing frontal hair line. Very often, we encounter patients who are literally forced to pluck a significant number of their plugs go about their daily activities. Dr. Cole strategically transplanted 600 CIT grafts onto the front to treat this patient. or linear scar associated with strip hair transplant method. » significant number of their plugs go about their daily activities. 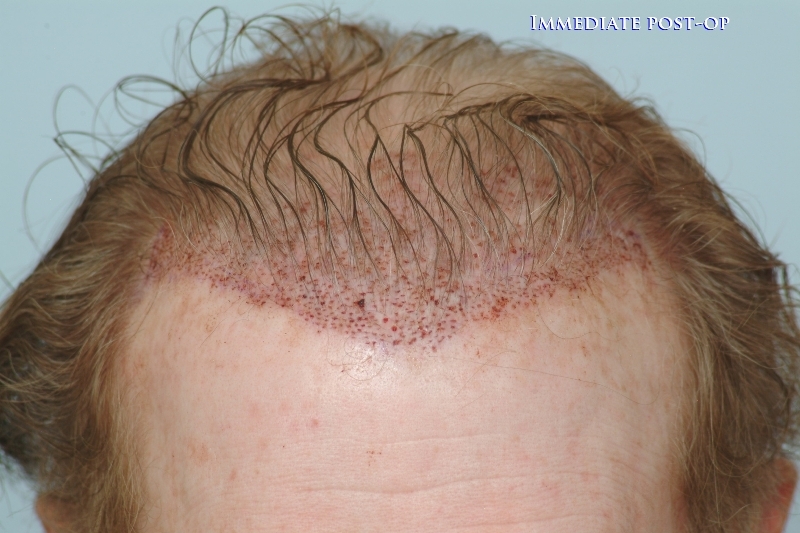 Dr.
» or linear scar associated with strip hair transplant method. Very well said. This is an excellent hair line result. » » a more natural looking and aesthetically pleasing frontal hair line. » » significant number of their plugs go about their daily activities. 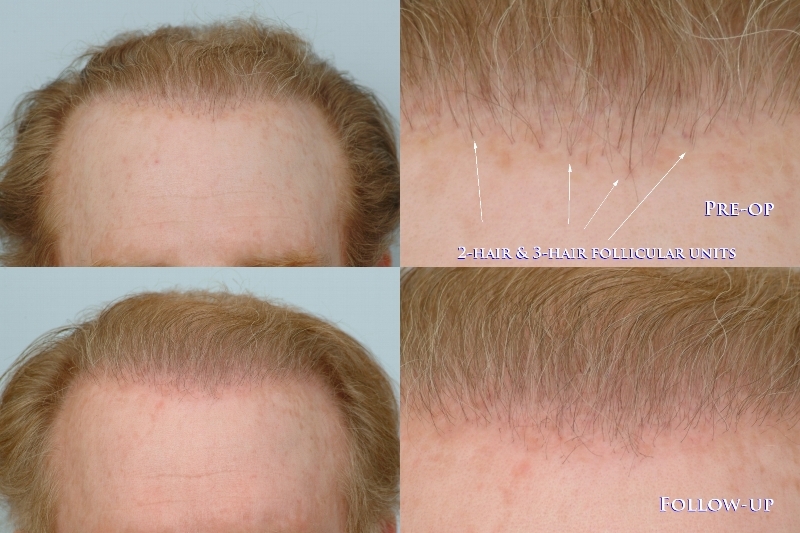 Dr.
» » or linear scar associated with strip hair transplant method. I agree. Much better because sometimes adding hair is less difficult than removing all follicular units and plugs. For all patients to need repair is terrible mostly because the expense to resolve the problem is much more costly than the expense of paying once to have the procedure properly done. The point to be made here is that not many grafts were needed to reconstruct a more appealing hair line. A mere 600 grafts is a classic example of what 600 CIT grafts can do. You have to remember that this patient’s donor area could only be harvested by a non-strip method. The hair line orientation was corrected by placing just the right number of grafts in the right direction. Absolutely beautiful work and age appropriate, not to mention only 600 grafts were used.